Lot Detail - Marilyn Monroe "Diamonds Are A Girl's Best Friend" Screen Used Fan from "Gentlemen Prefer Blondes"
Marilyn Monroe "Diamonds Are A Girl's Best Friend" Screen Used Fan from "Gentlemen Prefer Blondes"
Marilyn Monroe used this black fan with pink embellished sequins in her film "Gentlemen Prefer Blondes" in one of Hollywood cinema’s most memorable song and dance sequences, “Diamonds Are a Girl’s Best Friend”. 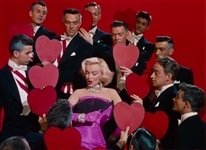 As the gold-digging “Lorelei Lee" surrounded by admiring men, Marilyn fans herself and then dramatically throws the fan in the air. 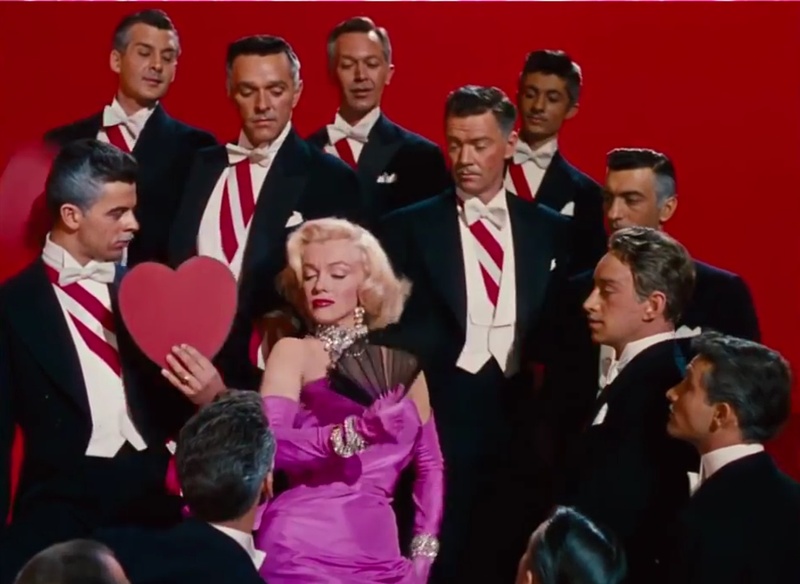 Monroe kept the fan after filming and later gave it to her business manager Inez Melson as a birthday gift. Marilyn Monroe was known to keep small props from each movie she starred in. The fan has impeccable provenance from 1962 to 2018 and also been screen matched to the one she used on film. 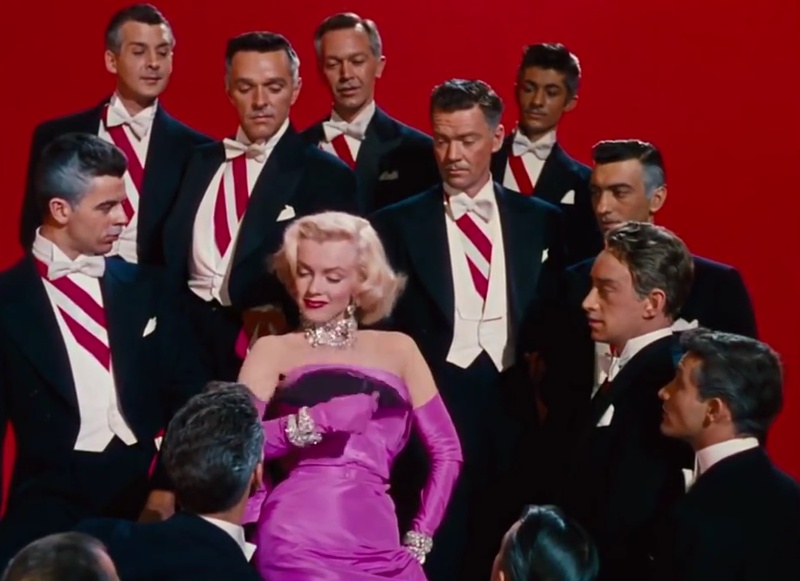 Marilyn Monroe’s “Diamonds Are a Girl’s Best Friend” performance has reached such an iconic status that several notorious entertainers have copied it—right down to the pink gown and matching pink sequined fan. 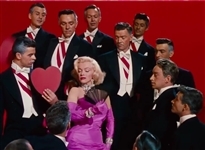 The fan shows some wear consistent with Marilyn's use during production. The sequins are the same pink color of her gown she wore in the performance. Originally the fan is thought to have been a plain black fan and the sequins were added by a Twentieth Century Fox worker or by Travilla (the costume designer) himself to add an extra sparkle. Unfortunately due to the heavy dyes that were used to obtain the hot pink color, a few sequins have tarnished which is as expected as costumes were made to look good and not last. 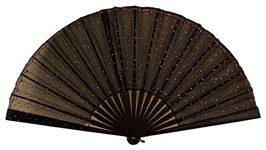 The fan comes from the personal collection of Sidney Rosenstein who worked in the motion picture industry, on both coasts, from the 1940's through the mid-1980's. Over the years of his working in the industry, Rosenstein acquired a collection of cinema and star memorabilia. 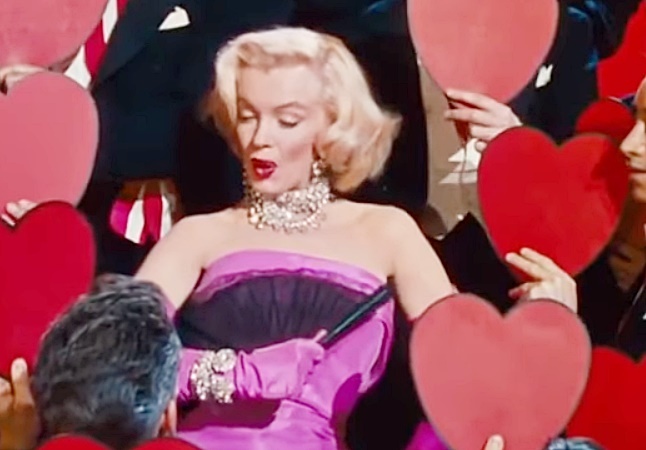 He obtained the fan directly from Inez Melson in the early 1960's, shortly after Monroe's death. Very good condition. The fan is accompanied photos from showing Marilyn using the fan in "Gentlemen Prefer Blonds," a letter of provenance from Sidney Rosenstein's son David Rosenstein, the Executor of his Estate, as well as a Gotta Have Rock & Roll™ Certificate of Authenticity.